Though we usually concentrate our attention on building tips and useful architectural information for home owners, every now and then we take a look at innovative ideas in architecture that could become part of tomorrow’s homes. 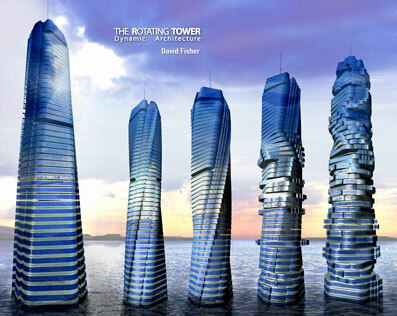 It is for featuring these ideas we have the Future Buildings section on our blog. Some of the ideas featured below are a bit far-fetched and exist only in visualizers dreams, some maybe in the making and some of the buildings may already exist now. This may fall in the first category we mentioned above, but the sheer audacity in dreaming up such a project needs to be applauded. Architects like Vincent Callebaut really push imagination and creativity. According to forecasts of the GIEC (Intergovernmental group on the evolution of the climate), the ocean level should rise from 20 to 90 cm during the 21st Century with a status quo by 50 cm (versus 10 cm in the 20th Century). Award-winning Belgian architect Vincent Callebaut visions Lilypad as a permanent refuge for those whose homes have been submerged in water due to ocean rise caused due to global warming. The ‘Lilypad City’ can house 50,000 inhabitants and would float around the world as an independent and fully self-sutainable luxurious super home. 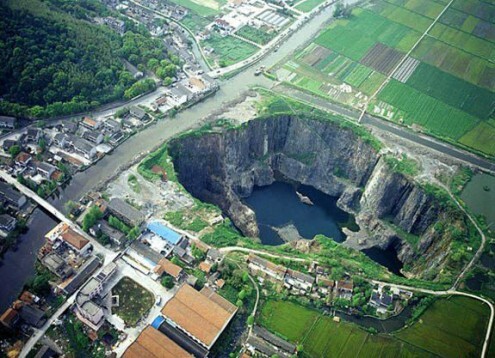 With lakes, artificial mountains for scenery, solar panels, wind tunnels and powerstations to harness wave energy, and no roads and no cars, Lilypad looks one clean green mega city. 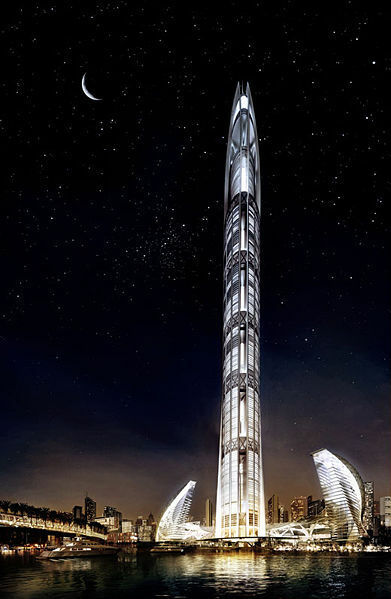 You might have read about Burj Dubai Tower which currently is the tallest man made structure in the world and is expected to be of 818m height on completion but even that would be dwarfed when the Nakheel Tower (formerly called Al Burj) comes into being with a staggering height of 1.4 km (1400m)! 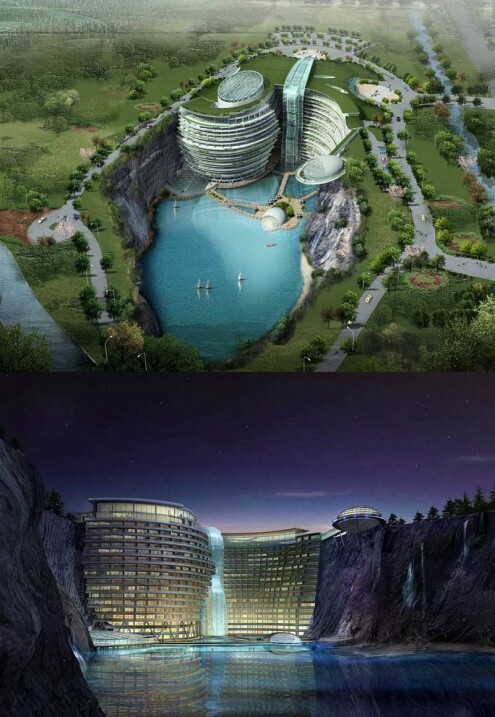 The hotel uses geothermal energy for electricity and heat, a green roof, and natural cooling properties of the quarry itself and yeah, Bungee jumping for guests! You got to say Atkins did an awesome job. In case you are rubbing your chin thinking that the name does sound familiar, these are the guys who built the Burj Al Arab. The Longaberger Company is an American manufacturer of handcrafted maple wood baskets and offers other home and lifestyle products, including pottery, wrought iron, fabric accessories and specialty foods. 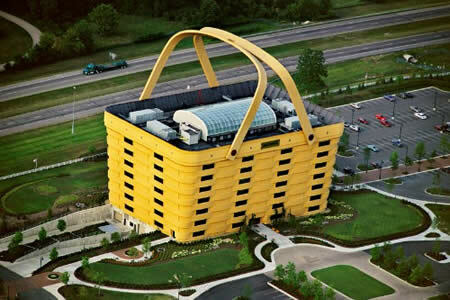 Dave Longaberger believed the idea of shaping the office in the form of a bag would draw attention to the company, while simultaneously helping to build our brand. 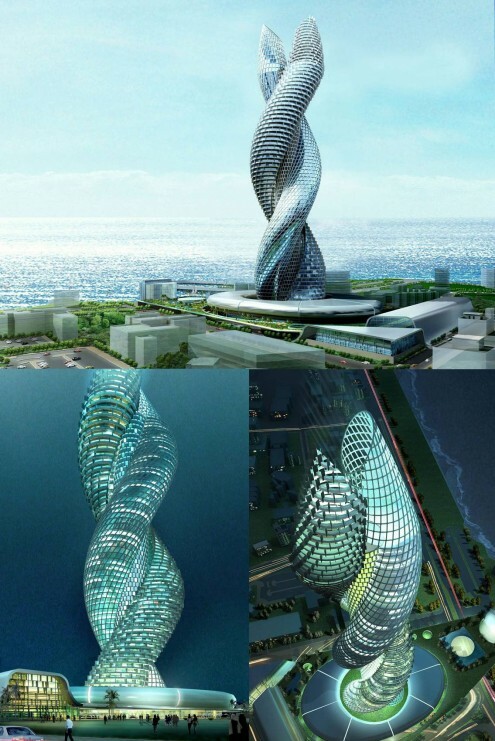 The proposed Infosys building in Kuwaits reminds us of DNA strands interlocked togethor. We are told the building would keep rotating. 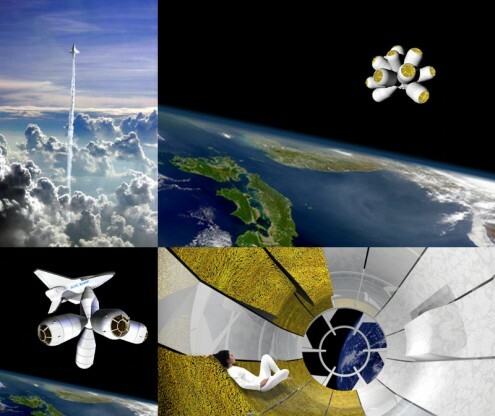 “Galactic Suite,” the first hotel planned in space, expects to open for business in 2012 and would allow guests to travel around the world in 80 minutes. Guest would be able to “see the sun rise 15 times a day and use Velcro suits to crawl around their rooms by sticking themselves to the walls,” But what about the price? Yep, truly out of the world: $4 million each for a three-day stay! Greetings – many thanks for this well-done piece. Please forgive this, English is a second language to me. German is my first language but I am working on getting down English. Peace!